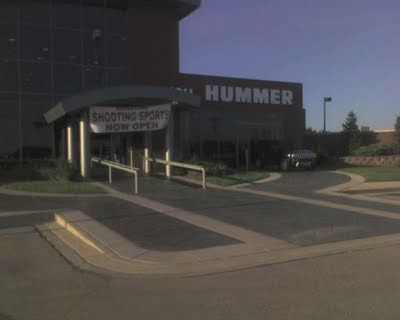 So I heard about this Hummer Dealership in St. Louis that started selling firearms and ammo. So like all those who are awesome... 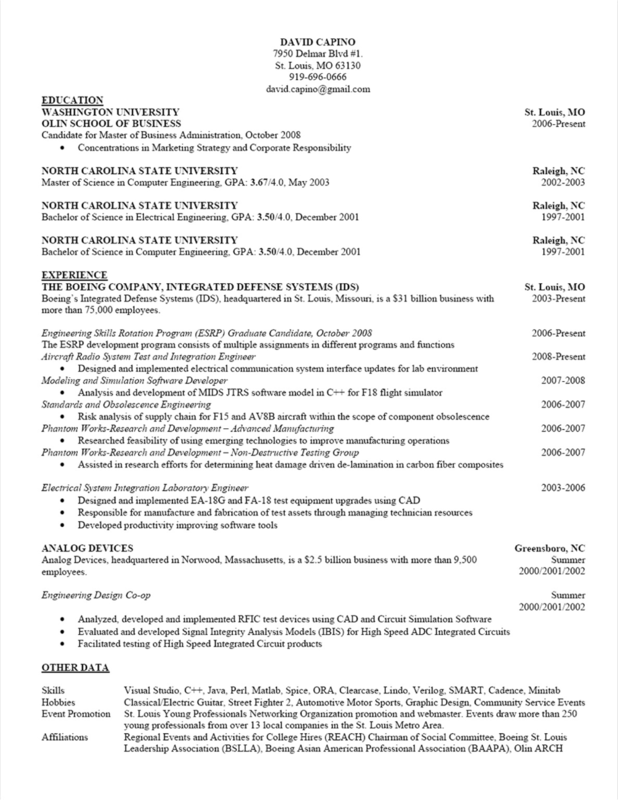 I decided to investigate. My friend Tim G. and I trekked down there and noticed a Fox news van sitting in the parking lot, with the camera rolling apparently, but no one was around. Anyhow, we walked in and were greeted in a friendly manner. 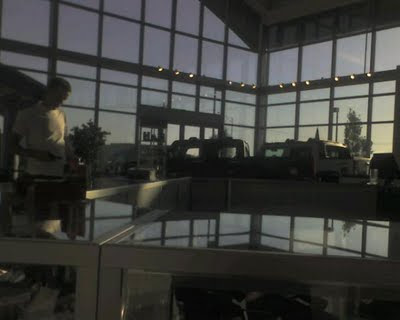 The level of courtesy was what you would expect from a high end car dealership. 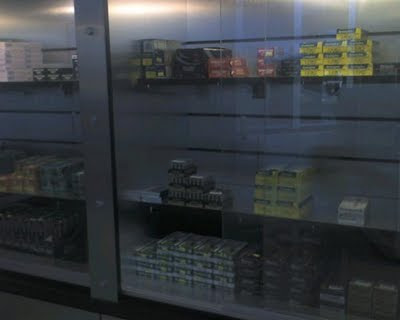 They had a decent amount of ammo (considering most places in STL are really short on hand gun ammo at the moment - see my zombies vs ammo post). 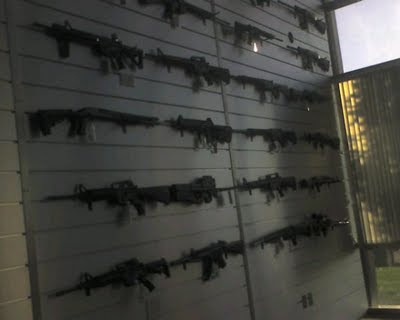 There was a wall full of semi-automatic rifles such as AR-15's and AK-47's. 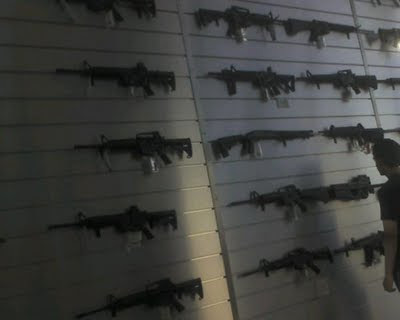 I was particularly impressed by the 50 caliber Sniper Rifle they had on display as well as the Saiga 12 Semi-Auto Kalashnikov style Shotgun. 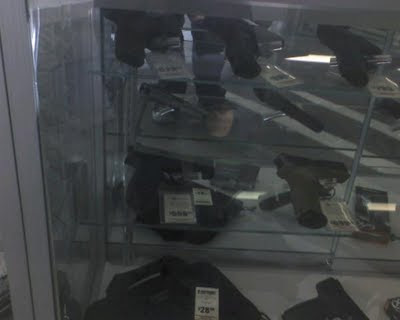 They also had a nice P90 there as well. All in all, if you are around the area, its worth checking out I think. 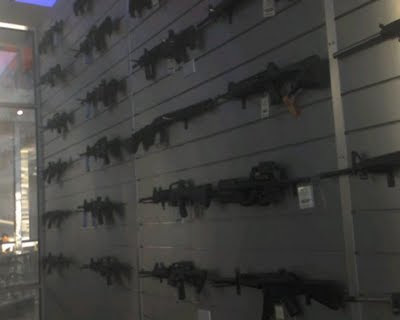 If anything just to see the interesting juxtaposition of firearms, bullets, and really expensive vehicles.